Last week, I showed you a preview of the Lush Christmas range and this week? I’ve only gone and opened my Christmas presents early!! Yup, I took home two Christmas gifts and opened them up straight away. None of this shaking around, guessing and squeezing business. SHOW ME THE GOODS!! THE NATURALLY SOURCED AND UK-MADE GOODS. 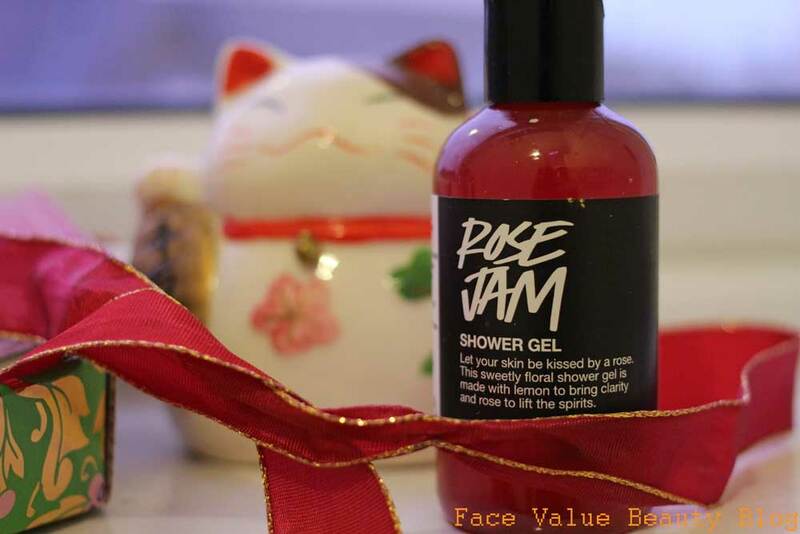 Having fallen head over heels in love with the new Rose Jam shower gel, this Little Ro’s Flowers Gift Set was perfect for me! I don’t actually like rose scent that much but everything smelt absolutely delicious, and not too rose-y at all! I loved the Honey I Washed The Kids soap – I don’t really use soap but the scent is absolutely gorgeous and the soap is now smugly sitting at my sink. The dreamy Dee-Lite lotion is perfect to send you off to sleep and holds it scent for ages. The dinky pot of Gorgeous moisturiser went down a treat too – I love a sample size because then you dont have to splash out on full-size until you know it really works with your skin. 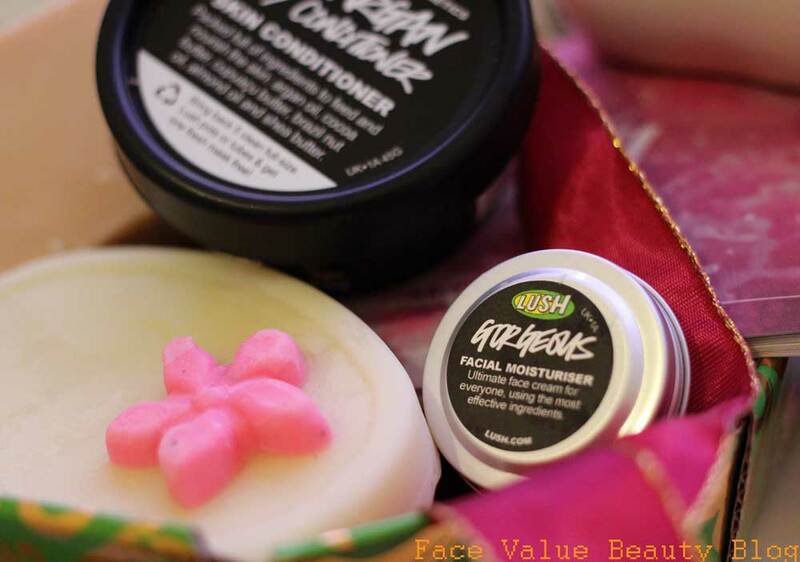 Lush Skincare aint cheap, so this is a great trial size! 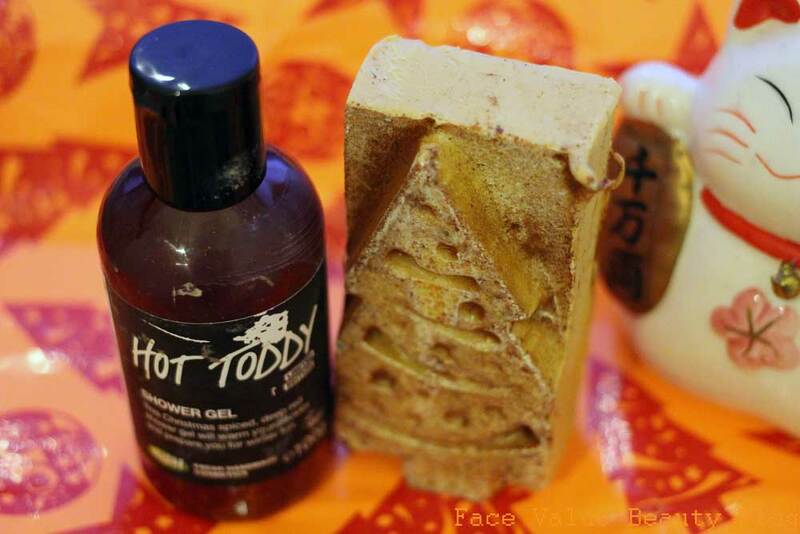 This next set is definitely more Christmassy – it’s got Hot Toddy & Eggnog in it, two Christmas classics!!! I love hot toddies- whisky, cloves, cinammon and hot lemon, it’s the best drink ever! 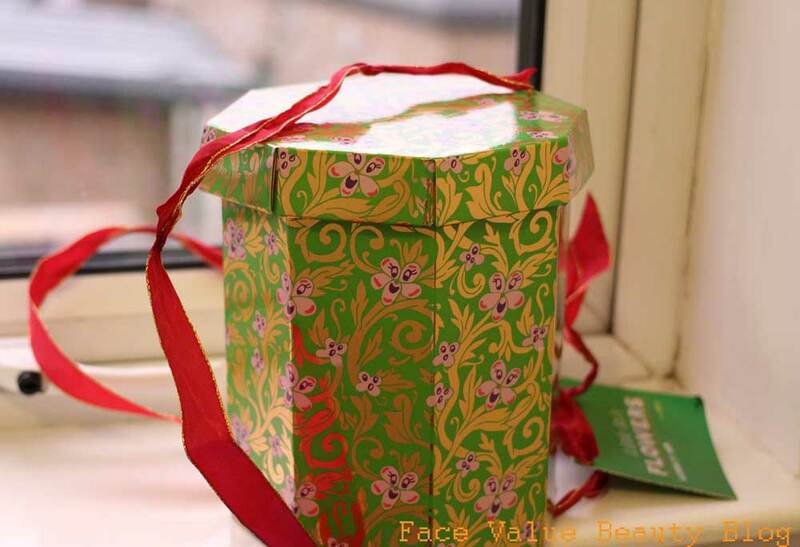 And in keeping with this boozy vibe, the gift set is called Festive Cheers and it-is-awesome! Like I said, I’m not a huge soap user but this YogNog Soap SMELLS SO DELICIOUS. Literally, I would risk foaming at the mouth just to see if it tastes like it smells. Obviously I haven’t because I’m not compleeetely insane but boy oh boy, this is close! The YogNog is also lovely and creamy, unlike most soaps which leave a bit of a squeaky clean residue. 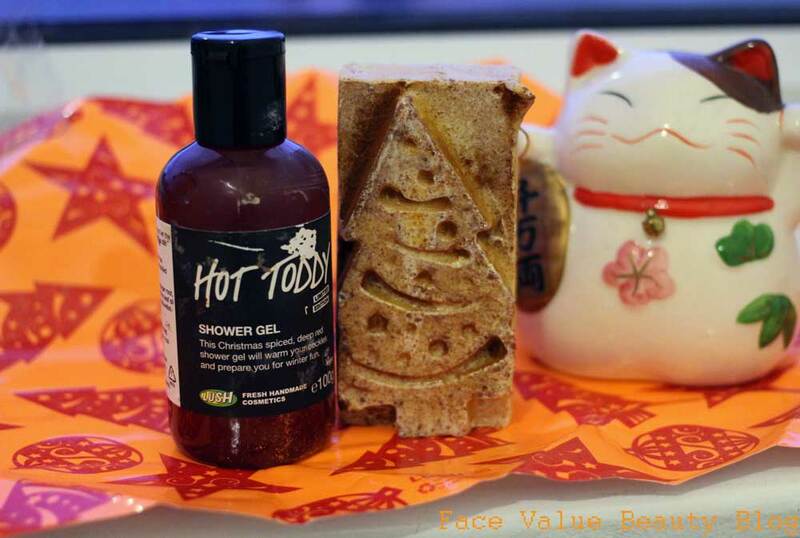 It’s made with moisturising soya yoghurt and the Clove Bud oil gives it a yummy Christmas scent. The only downside is that it’s a bit sticky and it got all over the Hot Toddy shower gel whilst wrapped in the box together! MESSY!! 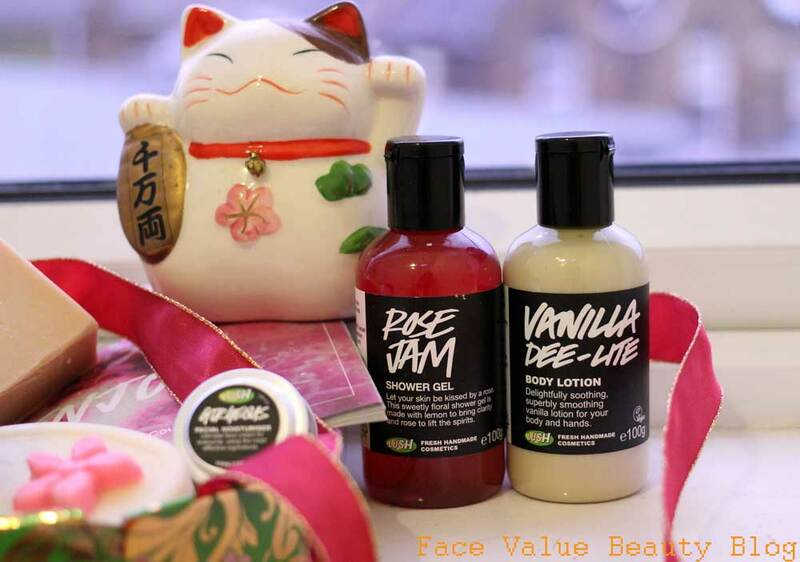 So that’s Lush Christmas – unwrapped! My favourite product? 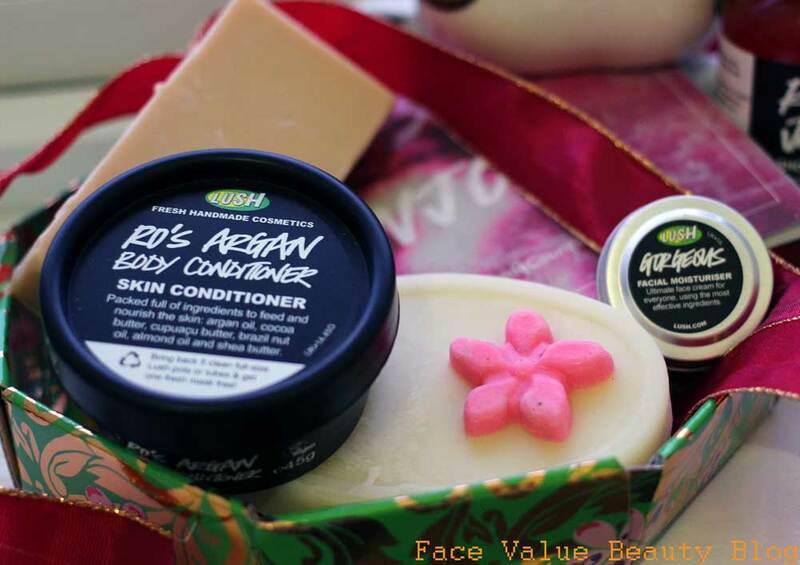 The YogNog soap for really changing my perception of soap – and of course Rose Jam, love love LOVE it! 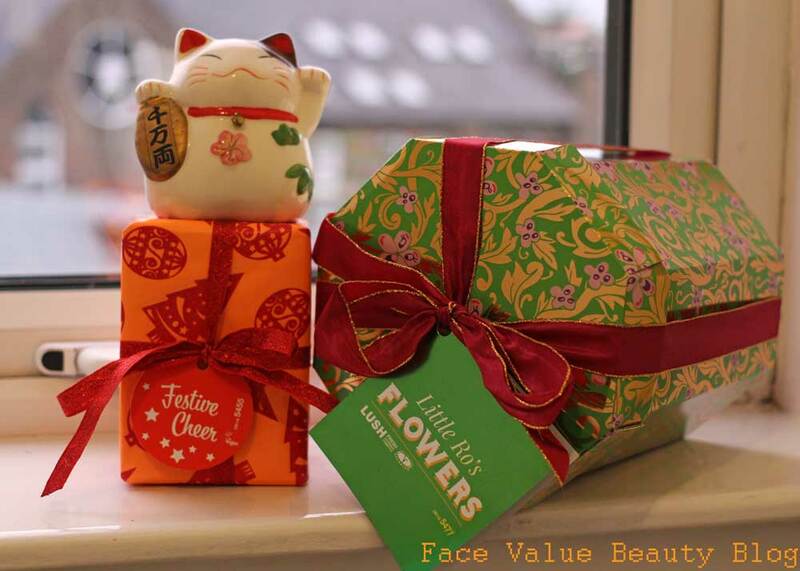 What do you think of these lovely gifts? Fancy one under your tree? Previous Post My Halloween Weekend, in pictures! Next Post Back On Youtube! My first ever tag…MAKEUP ROULETTE. Thanks for the lovely comment guys! !